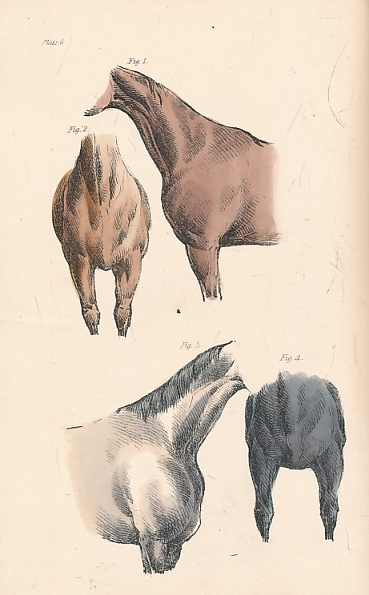 Barter Books : "Knowing Hand" : The Horse. His Beauties and Defects. 270 x 180 mm (11 x 7 inches) - 26pp + 18 plates. Illustrated board cover with purple cloth spine. Worn condition. Cover rubbed, soiled and faded. Inner hinge cracking. Plate 18 creased.